With the new year comes yet another new feature, Sunday Brunch, a weekly feature that’ll bring you what I hope will be great brunch ideas that’ll have you hopping out of bed and into the kitchen. 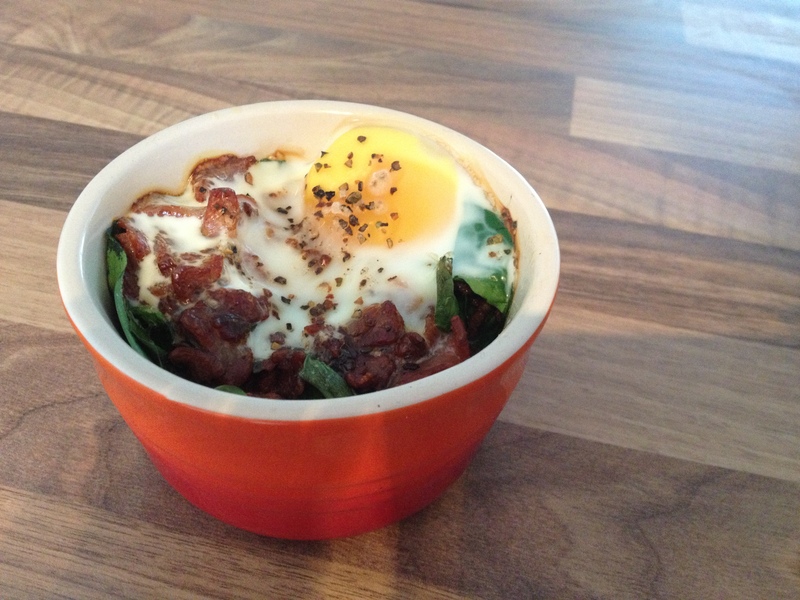 This week it’s all about my favourite style of egg, baked eggs. These little pots of goodness are quick and easy to make and just a little bit naughty, exactly the kind of food you want on a Sunday. 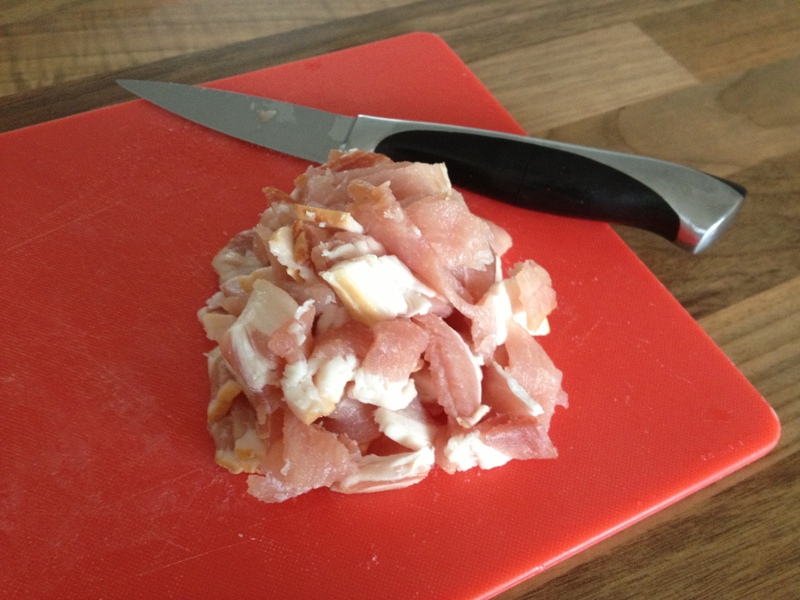 Preheat your oven to 180 degrees and chop up your bacon into lardon-style pieces. Don’t worry about being neat as these will be fried into nice crispy bacon pieces. Next you want to melt your butter. 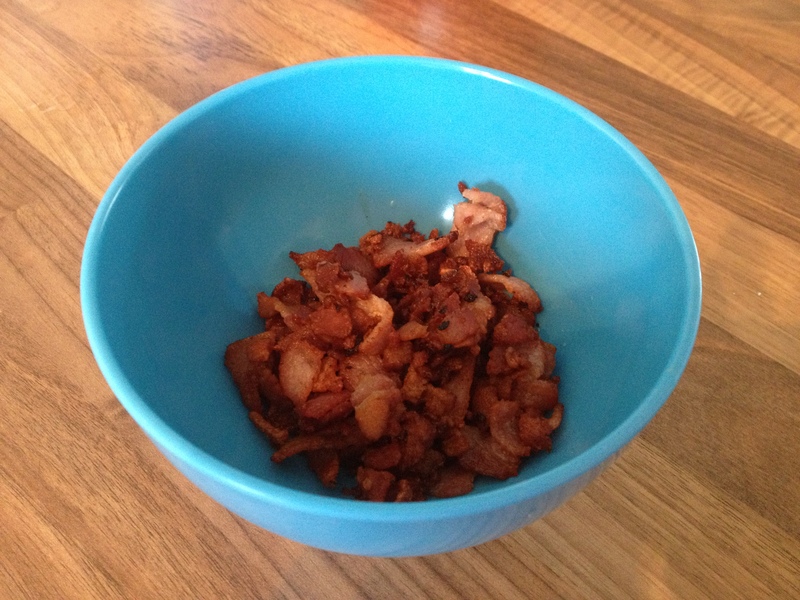 I tend to just swirl it around the pan I’ve cooked the bacon in so it picks up all the tasty bacon juices. I find you can do this without putting it back on the hob, but if you do find your butter isn’t melting enough feel free to pop it on a low heat for a few moments until fully melted. Once melted pop the butter into your ramekins. 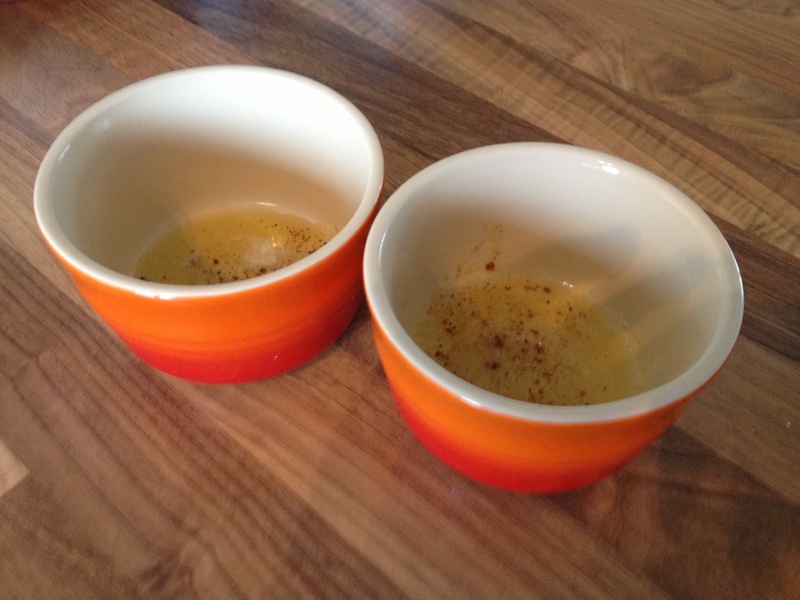 Mine are the Volcanic ones from Le Creuset but any ramekin will do. 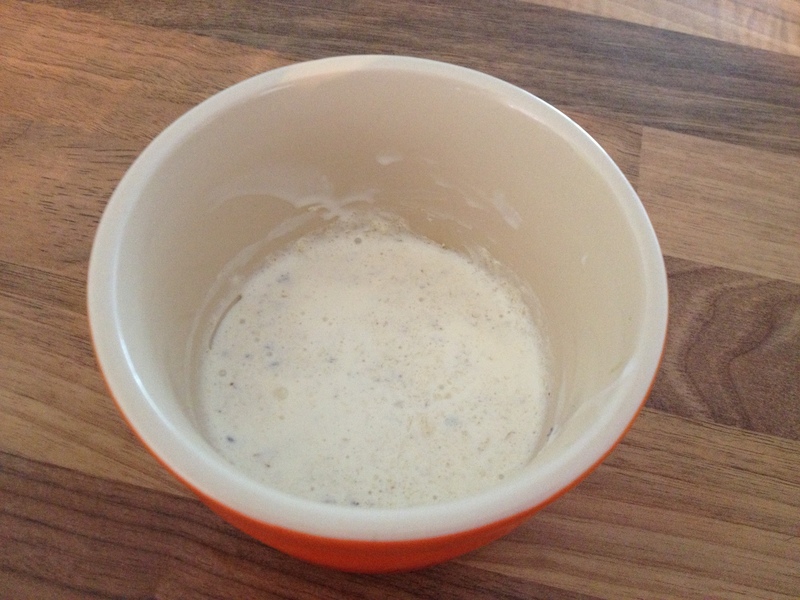 Add a quick dollop of double cream and mix until you have a creamy, buttery sauce (don’t I have the greatest way with words?!). 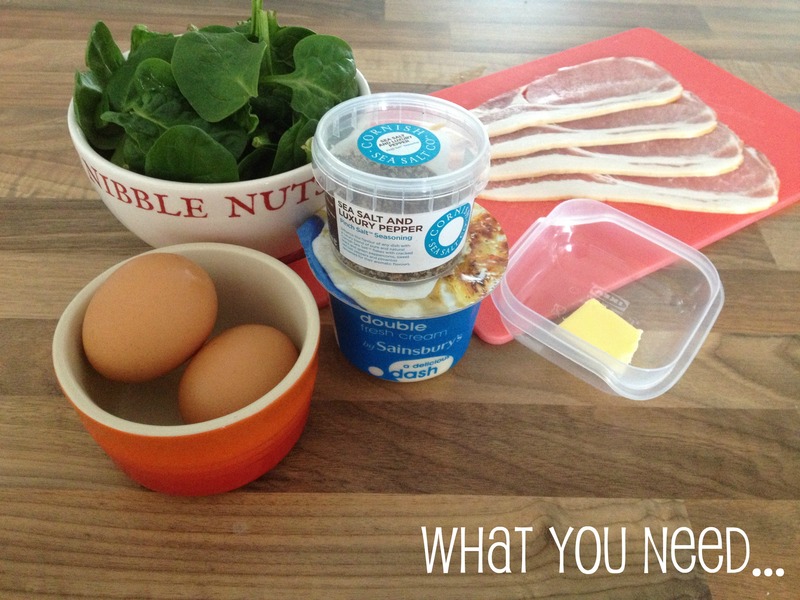 Now tear your spinach up and place it on top of the butter/cream mix. Really stuff it in as the spinach will wilt whilst it’s in the oven. 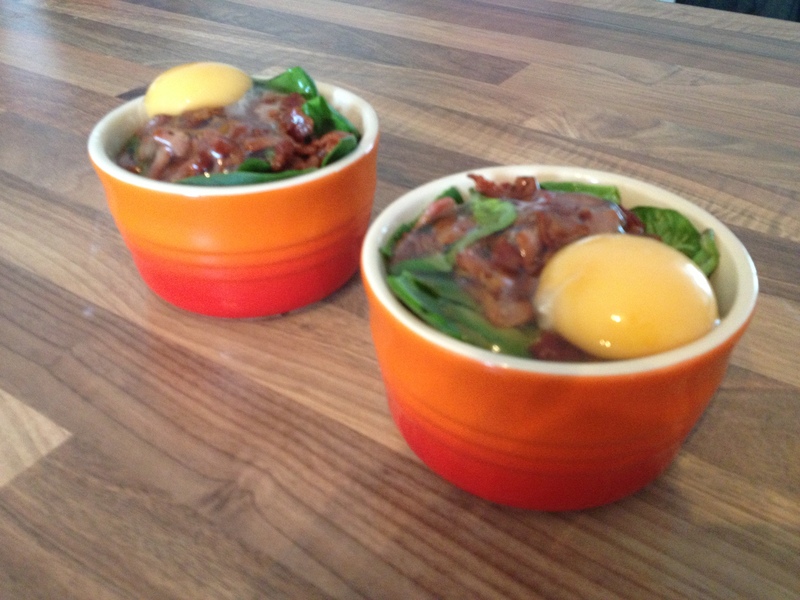 Top with your crispy bacon and then crack and egg into the ramekin. Next sprinkle with a little salt and pepper. 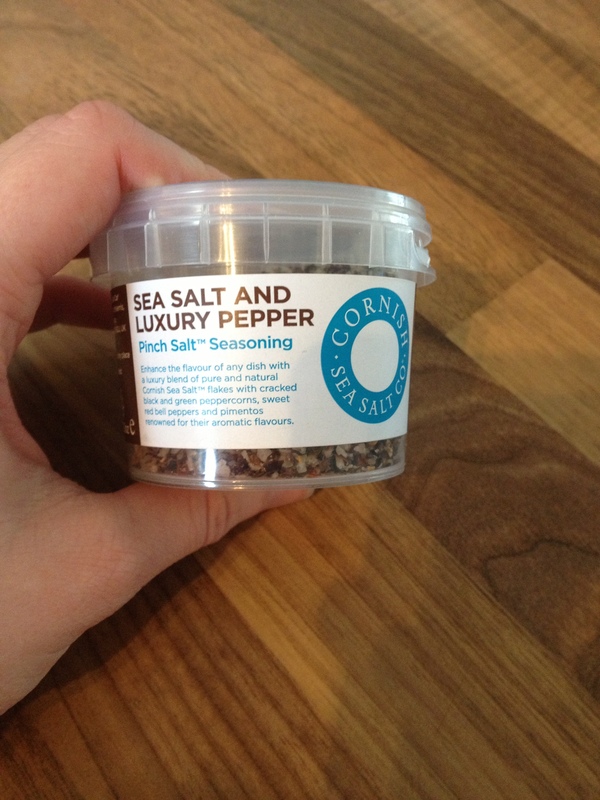 I use Sea Salt and Luxury Pepper Pinch Salt from the Cornish Sea Salt Company but really any salt and pepper will do. Your baked eggs will now be ready for the oven. These will take around 15 minutes to cook if you like your eggs soft and around 18 to 20 minutes if you prefer a harder yolk. 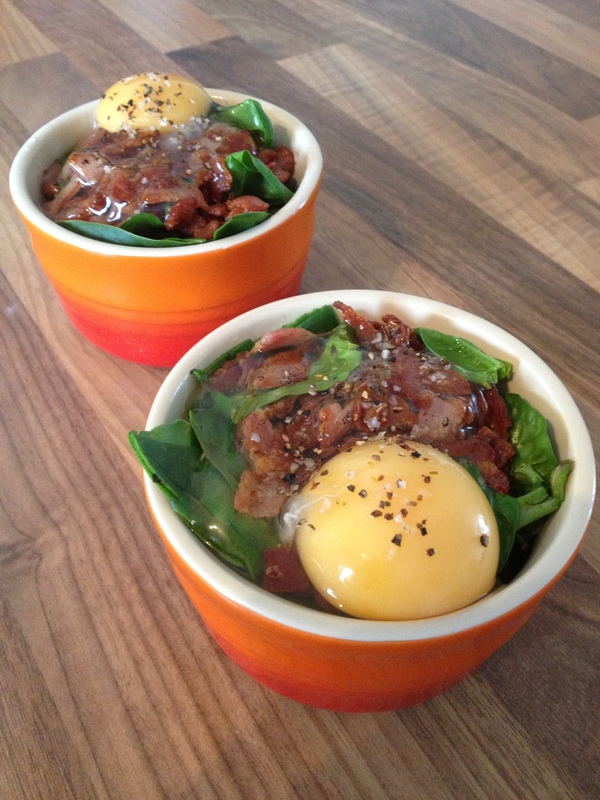 Eat from the ramekin or for a slightly more luxurious brunch serve on a slice of toasted poppy seed bread. Yum!